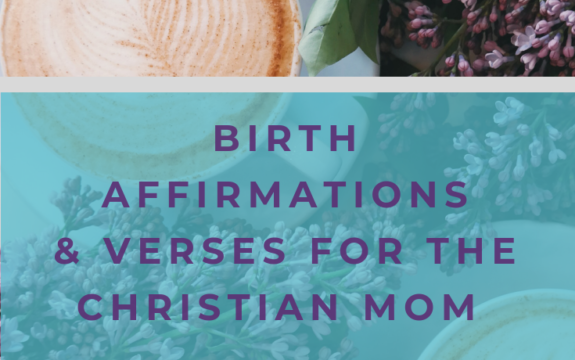 A great way to prepare for birth is by creating a list of encouraging thoughts, called affirmations, that you can dwell on before and during your birth. Your thoughts impact your body’s ability to relax and focus during labor, so it is well worth your time now to prepare your mind for the kind of birth you hope to have. 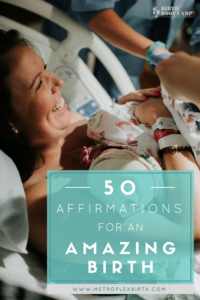 Birth affirmations have become popular with expecting moms and for good reason! The world is full of scary and dramatic stories about birth. You see them on TV. You hear them from best friends, aunts, and neighbors. Women want to tell their stories and they have every right to do so. But if you’re hoping for a peaceful, joyful birth experience, these are not helpful stories for you to hear. When I was pregnant, I tried to protect my thought life by avoiding these negative stories. Instead, I focused on filling my thoughts with truths I believed and hopes I held for my birth. Affirmations were also useful reminders and focusing tools when labor got intense and I felt out of control. Going into labor feeling peaceful and prepared made my birth so much easier. 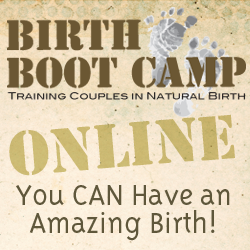 Because, yes, birth happens in your body, but it also happens majorly inside your head! Today I’m sharing a list of affirmations that helped me. 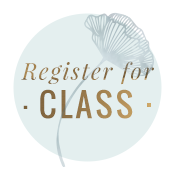 It’s a great starting place; but birth is deeply personal. So, it’s important to make the list your own. Read through the ones I have listed here and jot down ones you like. Throw out ones that make you laugh or seem cheesy. Tweak them. If you’ve decided on your baby’s name, use it. Use words and phrases that resonate with you and reflect your unique beliefs and values. Use affirmations to remind you of who you are and all you are capable of. I am going to have a gentle, beautiful birth. My baby is safe. I am safe. My breathing is deep and even. I let go of my fears and embrace the experience of birth. I rest patiently and let my baby come to me. I trust my instincts to know what I need for my labor. I am grateful to be giving birth to my child today. My baby and I are healthy and strong, ready for this birth. So many people love my baby already. I let go of any tension I’m holding in my face, hands, legs, and abdomen. I relax the space between my ears. I slowly breathe up with each surge. I blow my lips and loosen my jaw. I breathe my pelvis open. My body is both strong and soft, able to easily birth my baby. I make room for my baby coming down. My body is working to bring my baby to me. Labor will not last forever. Soon she will be in my arms. I let it get heavier and give in to what my body is doing. This is for my baby. I blow away all my tension. Each contraction brings my baby closer to me. My cervix is soft and elastic, easily stretching for baby to come through. I visualize my cervix slowly opening to make way for my baby. I work with my baby. Together we will find our way to each other. My cervix is melting over my baby’s head. I surrender fully to each wave. I do not fight the birth in any way. I sway and soften more and more. My body is relaxed and limp. My job is to simply allow the birth to happen. My body has a wide open space for my baby to descend. I am soft, relaxed, and open. I open more with every breath. I completely melt with each new wave. Good strong contractions help my baby come to meet me. I am having a peaceful, healthy birth. I will breathe slowly and deeply to relax my muscles and bring oxygen to my baby. I let all that’s tight float away. I follow my intuition and give birth in the way I desire. I feel the strong waves of labor and know that everything is normal and progressing. I have patience. I have an open heart. I am surrounded with love and prayers from family and friends. When it’s most uncomfortable, I am the most relaxed and at peace with the process of birth. The more intense it is, the closer I am to holding my daughter. Love compels me through each contraction. I am going to meet my son very soon, look into his eyes, hold his little hands, and kiss his face. This is the first day of an amazing new adventure with all the people I love. Once you’ve made your own list of affirmations, figure out how to soak up all your words. Print them out and read over them before bed. Write them on notecards and stash them around your house, so you can be reminded to think positively about your birth throughout the day. If you’re artistic, consider writing them on a banner or canvas to decorate your birth space. Journal through them, hang them up on your mirror so you can read them while you brush your teeth, or have someone read them to you during early labor. There are so many helpful ways to use affirmations! Words can be empowering. I hope your affirmations encourage your heart and help you enjoy your birth!